Have you ever wanted to own your own business? Now is the time! You can sell the best quality grillz backed by our exclusive warranty. You sell everything under your own business name, then send us your customer's mold. We ship the grillz back to you and you can charge any price you want. 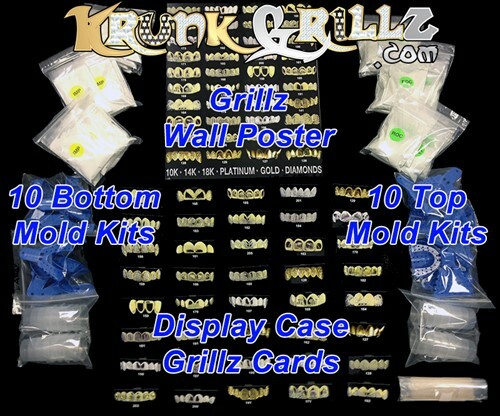 You get everything you see PLUS wholesale prices on grillz and mold kits. Your wholesale price goes down as your sales increase. Call for more details.